Fiji Yacht Charters. Designed with you in mind. Our passion is to share our love of Fiji with you. Join us on board our beloved ‘Aparima’ and explore our favourite islands. We will ensure your sailing charter is everything you wanted and more. Dive or snorkel with majestic manta rays (seasonal). Picnic on Champagne Beach. Explore Castaway Island, the backdrop to the Tom Hanks’ blockbuster ‘Cast Away’. Swim through the world-famous Sawa-i-Lau caves. Spend the day in a local village, learn basket weaving, and maybe a few Fijian words! 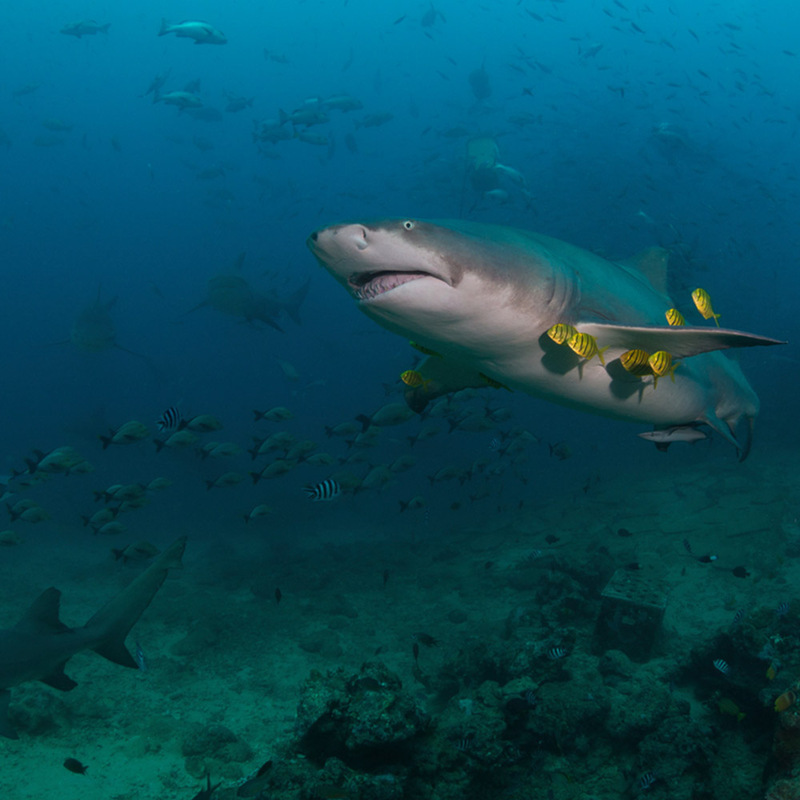 Get that adrenaline fix on a shark dive with some of the biggest shark species on the planet. 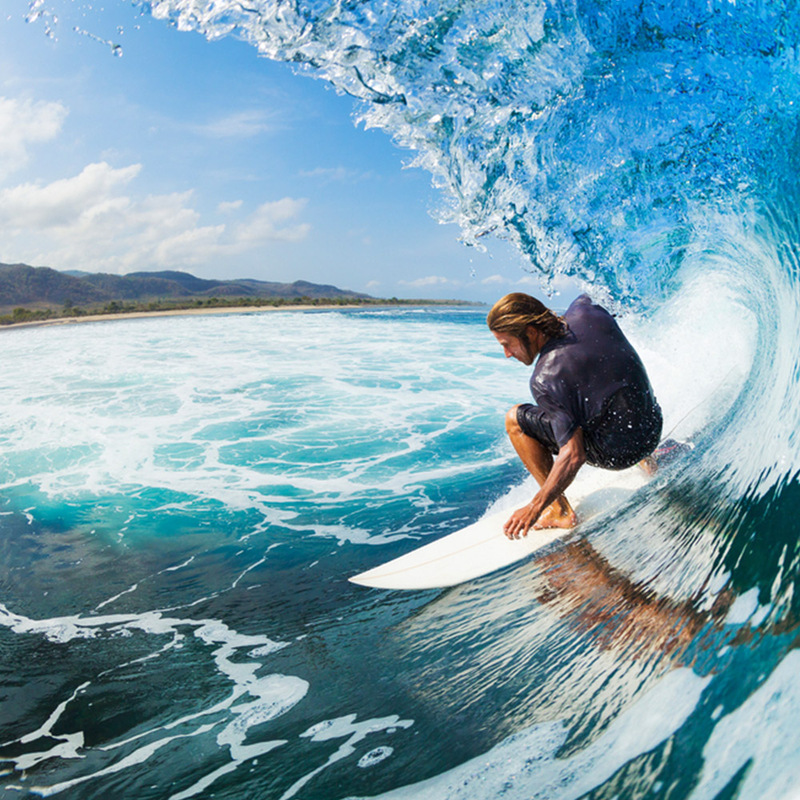 Surf world-class breaks. Or simply unwind, cocktail in hand, as you watch the sun set over your own secluded beach. 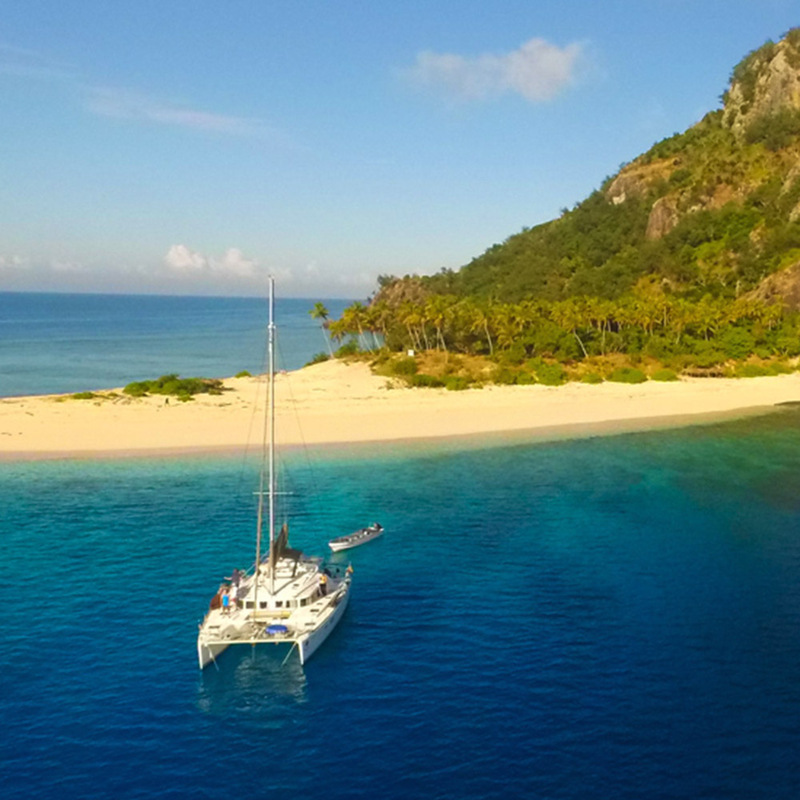 A sailing charter in Fiji really does have it all. We create extraordinary sailing charters that put you in the heart of Fiji. We ensure you are in the right place at the right time for some of the best diving, fishing, surfing, and sailing in the world. ‘Our crew have, between them, 76 years’ extensive, on-the-ground knowledge of Fiji. We will guide and support you through the whole booking process before departure, and will be there to make memories with you on board. Whether you are looking for a tailor-made charter or would prefer to join a group, we will ensure your sailing charter is the trip of a lifetime. Dive into an underwater world of soft and hard corals, a myriad of tropical fish, manta rays, eagle rays, turtles, and sharks, and experience one of the best bull shark dives in the world. 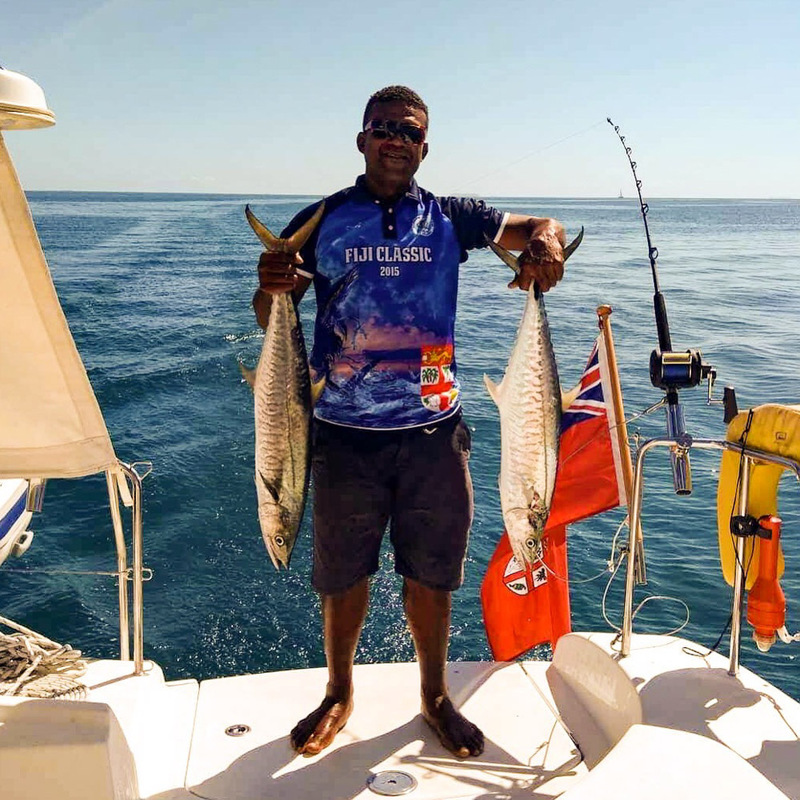 The warm tropical waters surrounding the Mamanuca and Yasawa Islands are home to some massive big-game species such as GTs, yellowfin tuna, blue marlin, mahi mahi, and wahoo. So jump on board and catch the ‘big one’. From spa days to mountain treks, dolphin spotting to diving, Big Blue Fiji will put you in the right place at the right time for what you want to do.